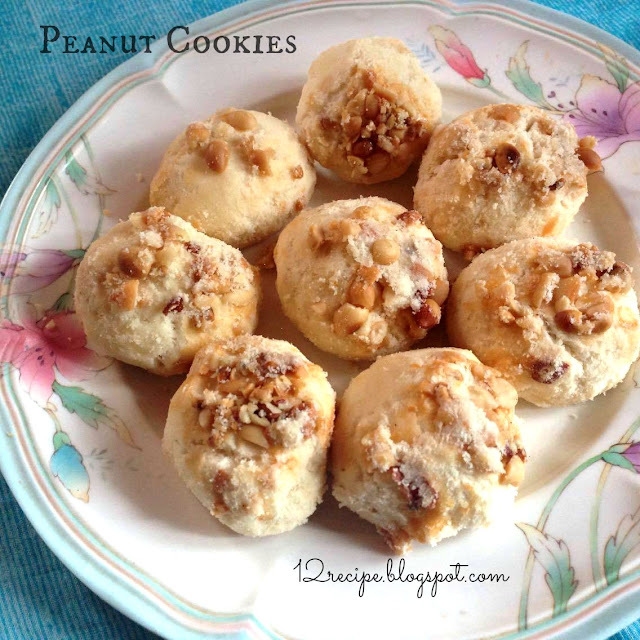 An easy, crunchy and melt in mouth cookies using roasted peanuts!! In a bowl add ghee and powdered sugar. Beat well with a spoon until creamy. Add cardamom powder; mix well. Add flour and peanut powder; mix well until fully incorporate. It forms smooth sticky dough. 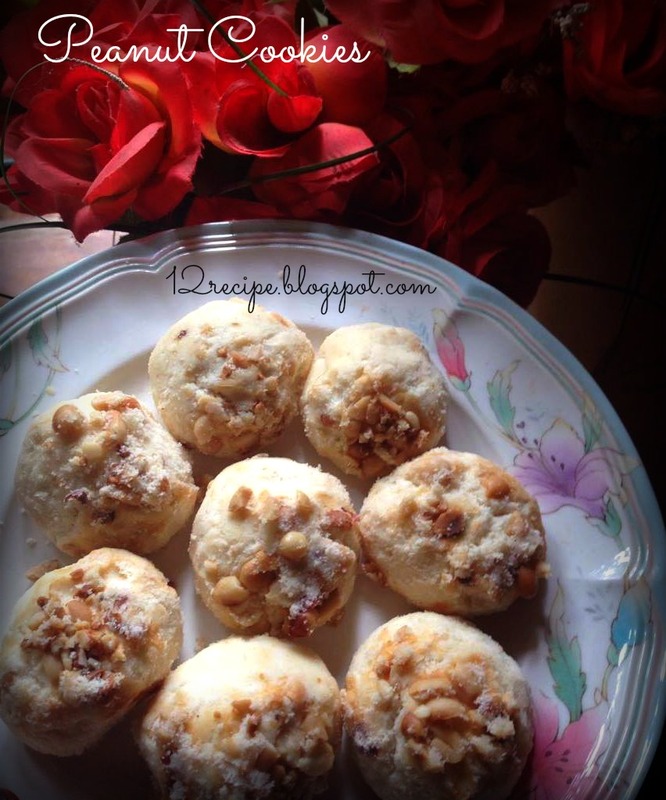 Add roasted crushed peanuts in a wide ball. Dip the prepared cookies lightly in the peanuts crushed to coat. Prepare all the cookies in this way and arrange it on a baking tray. You can store it in a air-tight container for about one weak.